Home » Blog » Internet for Audio Video – Part 3. How can I Ethernet connect a Wi-Fi Access Point, or any device, to my network without running a cable? Internet for Audio Video – Part 3. How can I Ethernet connect a Wi-Fi Access Point, or any device, to my network without running a cable? 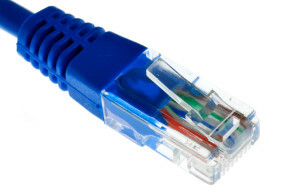 We always prefer to connect any hardwired devices to our network with an Ethernet cable. However, sometimes it’s just not possible or cost effective to pull a cable where you need it. In this case, we use Ethernet Over Powerline Adapters. These low cost ($60 for a good pair) devices connect a wall outlet close to the router and the network device (printer, access point, computer, etc). An Ethernet cable is plugged into the adapter and attached to your network device. These adapters use the power cabling in the home to transmit data, creating a virtual Ethernet cable from one point to another. By using an Ethernet switch in a room where you have several devices, you can hardwire all the devices in a room or cabinet back to the router. There are two issues to keep in mind with these adapters. First, they must be plugged directly into an outlet, not into a surge suppressor or power conditioner. These devices upset the data flow and the adapters will not work. The other issue is found in a very large home with multiple power panels. The adapters will not work if they are plugged into electrical circuits on different panels. These devices are very helpful in allowing you to place Wi-Fi access points in exactly the location you need to provide good Wi-Fi coverage throughout your home.